Matt Vogl, MPH is the Executive Director of the National Mental Health Innovation Center at the Anschutz Medical Campus. Matt was part of the original team that conceived and developed the NMHIC and is passionate about the opportunity to help support communities in building on their assets to bring big new solutions to longstanding behavioral health challenges. Matt brings extensive leadership experience in public health, replication and evaluation of evidence-based programs and behavioral health prevention and early intervention to this role. In addition to founding the Center, Matt helped implement the Center’s technology strategy with a particular focus on virtual reality. Matt has transformed the Center into a leading voice for the real-world implementation of VR for mental health by leveraging partnerships with the tech industry and international VR researchers. Under Matt’s leadership, the Center established the Technology Innovation Network (TIN); one of the largest and most diverse mental health technology test beds in the United States. Prior to the NMHIC startup, Matt helped launch the University of Colorado Depression Center and served as Deputy Director. In this role Matt provided day-to-day leadership at the Center including oversight of the Center’s outpatient clinical practice, long-range expansion and strategic planning, program development and external relations. In addition to administrative and development responsibilities Matt oversaw the implementation of a variety of projects to extend the reach of the Depression Center into communities across the state, including suicide prevention, media outreach, education/stigma reduction programs, school-based initiatives and community/organizational behavioral health assessment and systems redesign. Matt also led the site development team at the national office of the Nurse-Family Partnership; an evidence-based prenatal and early childhood nurse home visiting program. In this role Matt oversaw a staff of professionals who worked intensively with communities nationwide to implement the program with strong fidelity to the original program model and to ensure that services delivered to clients were high-quality and sustainable. Matt received his BA from Marquette University and a Masters of Public Health from the University of Minnesota where he was given the Robert ten Bensel Award for Maternal and Child Health Leadership. He is past Board Chair for the Suicide Prevention Coalition of Colorado and served on the boards of the Rocky Mountain Research and Prevention Institute and the Colorado chapter of the American Foundation for Suicide Prevention. 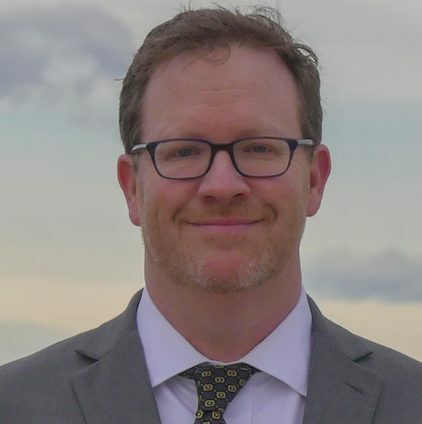 Matt was recently appointed to the State of Colorado Commission on Suicide Prevention, established by the Colorado State Legislature and the Governor’s office to implement best-practice approaches to reducing suicide in the state.